As the world's highest and most challenging railroad, Qinghai-Tibet Railway is becoming more and more popular among domestic and foreign travelers. Tibet Travel ORG CITS (http://www.tibettravel.org), the most professional agency in foreigner tour services, shares some advice on traveling to Tibet by train in 2014. Ride the world's highest railway to explore the roof of the world. 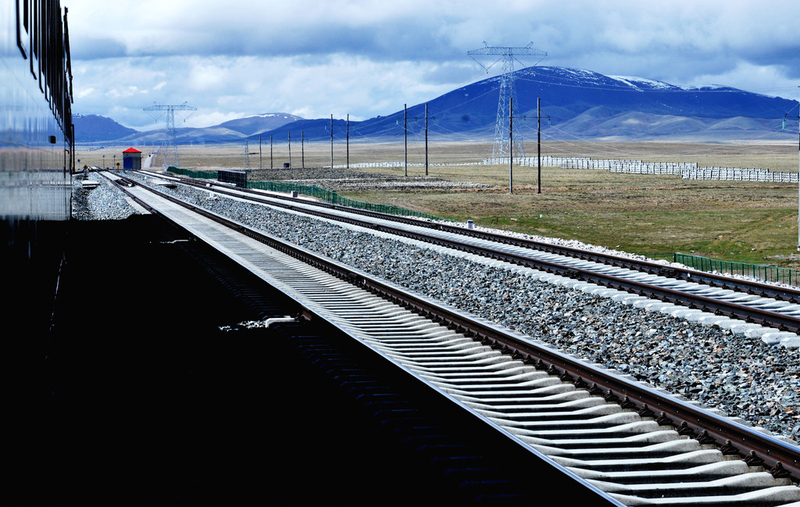 With an average altitude of over 4,000 meters above sea level, Qinghai-Tibet Railway is widely known as the highest railroad on the planet, as well as the only one on Tibetan Plateau. According to its operator, this line has carried over 13 million passengers to and from Tibet since its launch in July 2006. The December statistics from Lhasa Railway Station shows that it sent and received over one million passengers respectively in 2013. As the top local tour operator, Tibet Travel ORG CITS has put great efforts in promoting railway tours to Tibet since 2006. 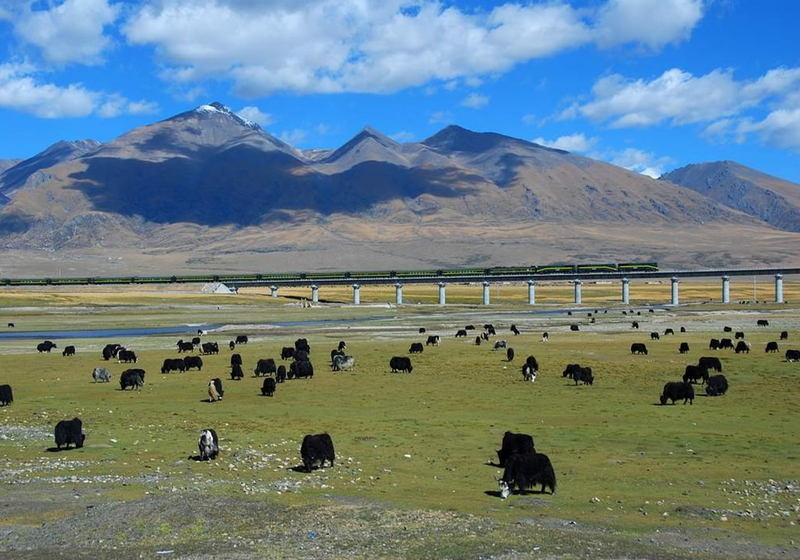 The agency announces that 90% of their western clients have traveled on this railway, and that the railway has almost replaced the airplane as travelers' first priority when traveling to Tibet. Why is Qinghai-Tibet Railway so popular? It is even the most popular way to Tibet now. One of the main reasons is that it is a man-made world wonder. It has broken many world records, such as the most elevated railway, the longest plateau railroad, the longest track on frozen earth, the highest train station, the highest railway tunnel and the longest highland railway bridge. In addition, the railway traverses three mountain ranges, many rivers and lakes, creating marvelous sceneries along the route. Nine stations along the Qinghai-Tibet Railway are designated as sightseeing stations with platforms for tourists to view picturesque sceneries and impressive vistas. 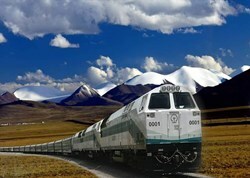 Moreover, many travelers believe that taking a train to Tibet helps to relieve high altitude sickness. Although it might not be true, attentive services and advanced facilities on the train do ensure enjoyable journeys. The trains to Tibet are the most advanced and comfortable in China, with all carriages installed with oxygen supplying equipment, air-conditioning, supercharging system, altimeter screen, sightseeing windows, etc. Many foreigners may not know how to arrange a trip to Tibet by train. Thus, Tibet Travel ORG shares some tips here. 1. Currently, there are trains to Lhasa from the major cities of mainland China, such as Beijing, Shanghai, Chengdu, Guangzhou, Xining and Lanzhou. However, it is best to start the trip from Xining, the beginning of Qinghai-Tibet Railway, for travelers can not only shorten the train trip but also visit more famous tourist sites. Moreover, it is easier to get a ticket in Xining as all the trains to Tibet stop there for at least ten minutes. 2. If traveling with family or friends, tourists are advised to purchase sleeping-compartment tickets so as to enjoy private space. 3. It is best to avoid traveling in August, which is not only the busy travel season but also students' summer vacation in China. The price of a train ticket to Tibet soars in August, and is very difficult to get. 4. Since Qinghai-Tibet Railway is a hot tourist line, it is best to book the tour and rail tickets in advance (at least 3 months in advance). 5. For foreign travelers, a Tibet visa or entry permit is required for boarding the train. The permit must be applied at least half a month in advance. Tibet Travel ORG CITS (http://www.tibettravel.org) is the top online Tibet tour operator. It sends more than 1,000 individual travelers and over 100 tour groups to Tibet every year. It helps travelers to obtain the Tibet Travel Permits, book air/train tickets to Tibet and customize their tours. Qinghai-Tibet RailwayQinghai-Tibet Railway is an engineering miracle in human's history. Scenery along Qinghai-Tibet Railway5 passageways were built for wild animals, based on their migration habit. Scenery along Qinghai-Tibet RailwayThe train passes vast grasslands and snow-capped mountains on the way to Lhasa.